I am pretty sure that a lot of you guys love Vegeta. I mean he is one of the most fan favorite character of the whole franchise too. He’s got some issues but we all know what his real worth is. Vegeta has shown time and time again he’s not someone who gives up so easily. Son Goku may be able to one-up the Saiyan when it comes to transformations, but Vegeta isn’t happy to let his rival stay ahead. After all, Vegeta is always trailing behind bit when it comes to unlocking power-ups for himself, and it seems Super Saiyan God is now in his grasp. 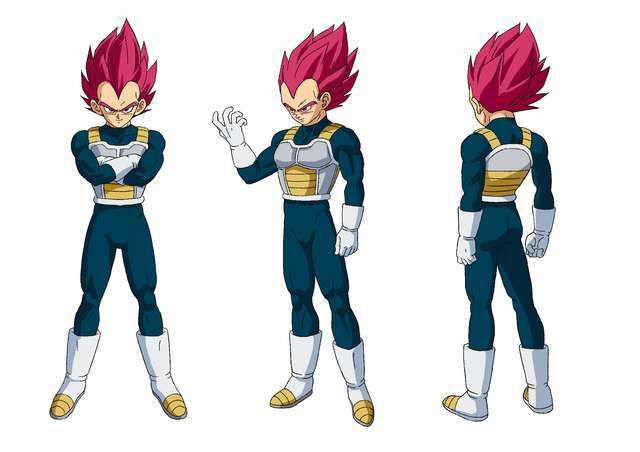 This year, fans will get to see Vegeta power into SSG at long last, and the anime debut is getting a special figure in commemoration. 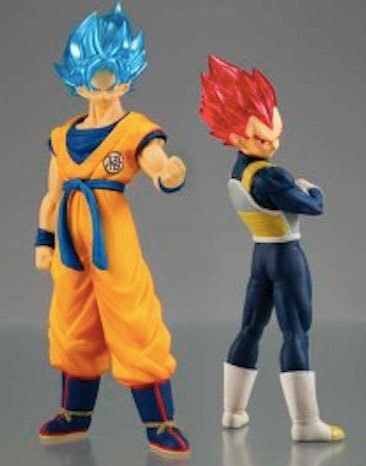 As you can see below, Premium Bandai has partnered with Toei Animation to make a SSG Vegeta figure, and it will be a must-have for fans. “Dragon Ball Super: Broly characters are coming to the HG Dragon Ball collection,” the special announcement reads.b“Popular characters including SSGSS Son Goku and Super Saiyan God Vegeta are coming together. In a rare outing, ‘Buff’ Super Saiyan Broly (Full Power) is coming too. 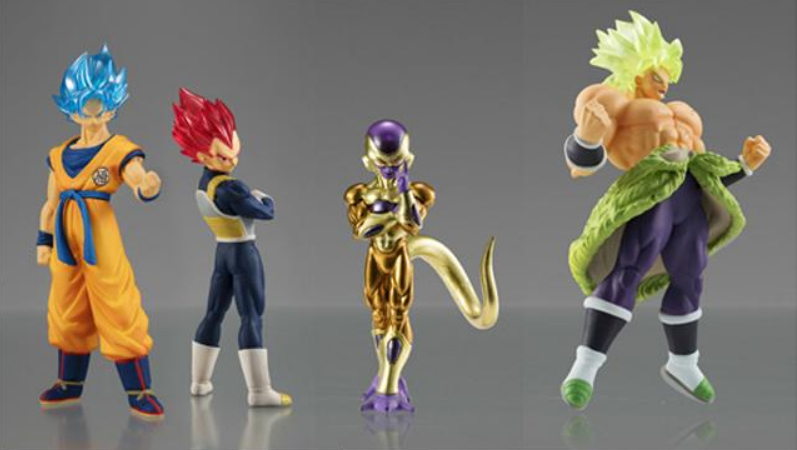 You can get these over-the-counter at stores.” I think I am going to get every figure from the Dragon Ball Super : Broly movie now. As you can see, the figure is inspired by Dragon Ball Super: Broly specifically. The movie will stand as the franchise’s first feature, and it will mark Vegeta’s awaited Super Saiyan God reveal. While the manga gave the Saiyan the power-up some time ago, Dragon Ball Super’s TV series never managed to bring the form around. Now, Vegeta is getting his very overdue comeuppance, and he will have a special figure to prove it. 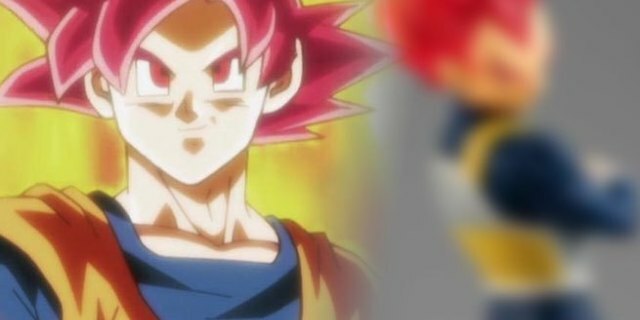 This isn’t the only power-up fans are eager to see in Dragon Ball Super: Broly. The jury is out on whether Goku will tap into Ultra Instinct in the film, but fans do know Broly will show off all his brute strength. The rebooted character will step into Dragon Ball canon with an overhauled berserk form, so there is no telling how strong Super Saiyan Broly will be by the movie’s end. Are you excited to see Vegeta go Super Saiyan God for the first time? It seems like they are going to fight Broly starting from their base form, slowly raising the level. The saiyan duo – Goku and Vegeta always do this when they are fighting a brand new opponent but this time, this whole idea might just backfire at them. Instead of crushing Broly at once using their Super Saiyan Blue form, they are allowing Broly to adapt, raise his power and ultimately evolve to a Legendary Super Saiyan. Don’t forget that Broly at a base level has A LOT more potential than our boys Goku and Vegeta here. Just imagine how powerful he can become when he’s giving both Super Saiyan Blue Goku and Super Saiyan Blue Vegeta trouble in his Super Saiyan form and then goes on to evolve even further into a Legendary Super Saiyan. Well, I am going to have a lot of fun seeing the fights. There’s going to be a lot of action in the upcoming movie! Next story Dragon Ball Super Manga Creator Toyotaro Shares Android 26 Designs! Previous story The Real Reason Why King Vegeta Exiled Broly Revealed!